Baby formula can be a good substitute to breastmilk. Here's a list of the top 5 baby formula available in India and why you should buy them. When it comes to your baby, your first instinct is to provide the very best. And since newborns are extremely delicate they require intensive care and nourishment as far as feeding habits are concerned. So while breastfeeding is the best way to boost your baby’s immunity and keep him safe from diseases, sometimes mothers are unable to go the all-natural way. Alternatively, sometimes your baby may reject the breast. The next best option in such cases is to give them baby formula. Most of these baby formula available in the market are manufactured to act as substitutes or alternatives of breastmilk. So it is natural to be overwhelmed with the choices in the baby formula aisle. But how do you choose the right nourishment for your newborn? When buying a baby formula, check for its form, the type of protein or carbohydrate it contains and the list of other ingredients used for its preparation. You must choose a formula that is easy to dissolve in boiled water and does not leave any lumps. Also make sure to check with your physician about your baby’s milk allergies before purchasing the product. Ready-to-use: This is one of most convenient types of baby formula that can simply be served as is. No mixing is required and it is the type that hospitals usually serve the newborns. Liquid concentrate: As the name suggests, this baby formula requires you to mix the formula in equal parts with warm water. 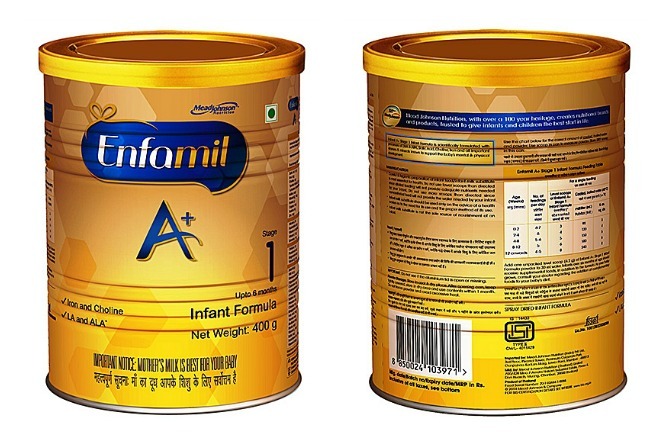 Powdered form: This is the most common type of baby formula available in India. It is also environment friendly and has a better shelf-life than other types of baby formula. You can easily find all of these baby formulas online and review their features to make an informed decision. 1. 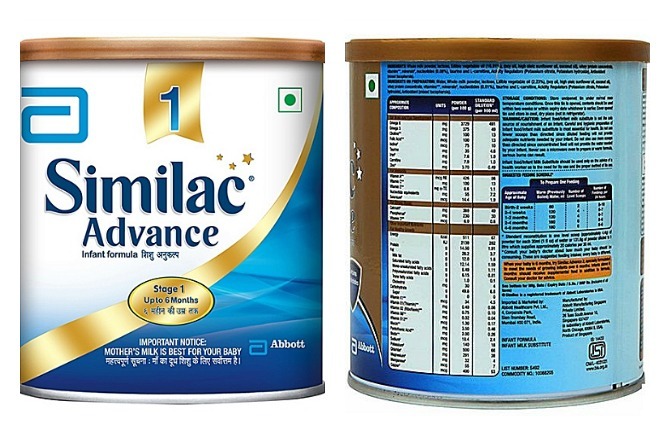 Similac Advance Infant Formula Stage 1: Recommended for its rich content of minerals, carbohydrates and proteins, it can be given to infants upto the age of six months. It also contains a special blend of omega 3 and 6 fatty acids, choline, iron, taurine, iodine, folic acid and zinc, which are good for brain cell growth and building stronger immunity. 2. 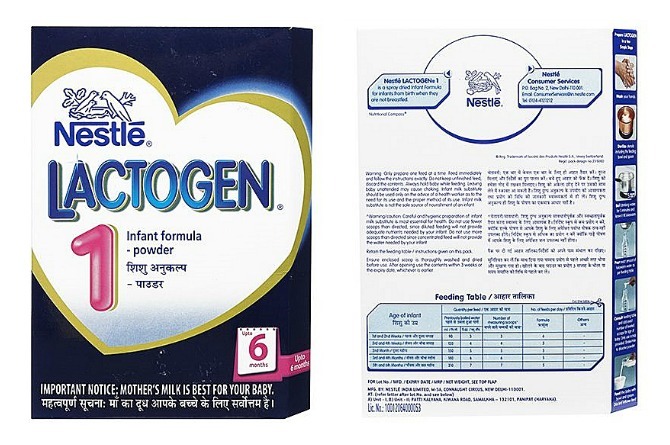 Nestle Lactogen Infant Formula Stage 1: This is a spray-dried formula that can be fed to infants upto the age of six months. It contains ingredients like maltodexrin, milk solids, demineralised whey, soyabeal oil, corn oil, minerals, soya lecithin, Vitamins, taurine and L-Carnitine. It is said to provide adequate nourishment to the baby and the follow up formulas, Lactogen 2 and Lactogen 3 can be given to kids who older than six months. 3. Enfamil A+ Stage 1 Infant formula: This is also intended for babies upto the age of six months. It is known to contain clinically recommended levels of Docosahexaenoic acid (DHA) and Arachidonic acid (ARA), which are needed for the baby's brain development. It also contains dietary fibres with whey proteins. 4. 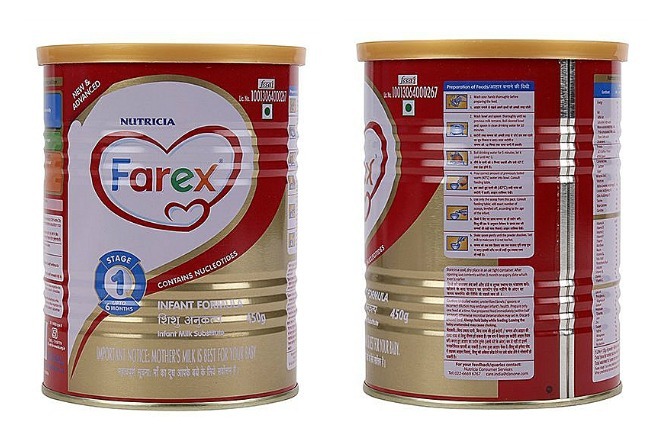 Farex Stage 1 Infant Formula: It is also a perfect substitute for breastmilk for infants upto the age of six months. This infant formula is enriched with essential minerals, vitamins and proteins. Its primary ingredients ingredients include water, demineralised whey and whey solids, lactose,partially skimmed milk, edible vegetable oils (groundnut and soyabean), soya lecithin, minerals, vitamins,taurine, L-carnitine. It is recommended that along with Farex, you continue breastmilk for the overall development of your child. 5. 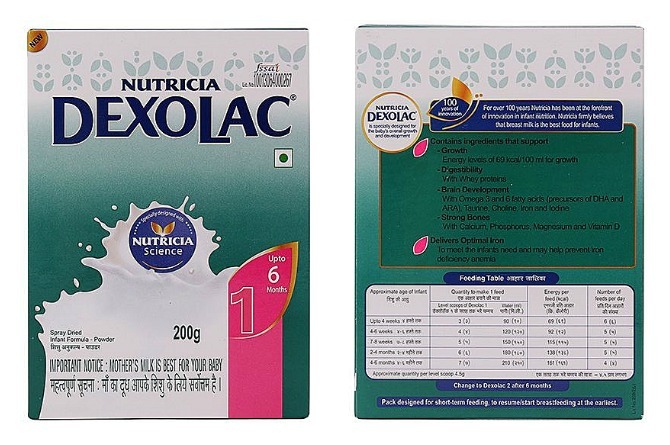 Dexolac 1 Infant Formula: It is a milk substitute that is known to provide your baby with the exact amount of nutrients in his growth years. It is enriched with calcium, magnesium, Vitamin D and phosphorus. Brain Development, being an important arena of growth is enhanced with this infant formula since it contains omega 3 and omega 6 fatty-acids. It is also available for babies upto the age of six months. If you have any insights or comments about the article on baby formula, please share them in our Comment box below.